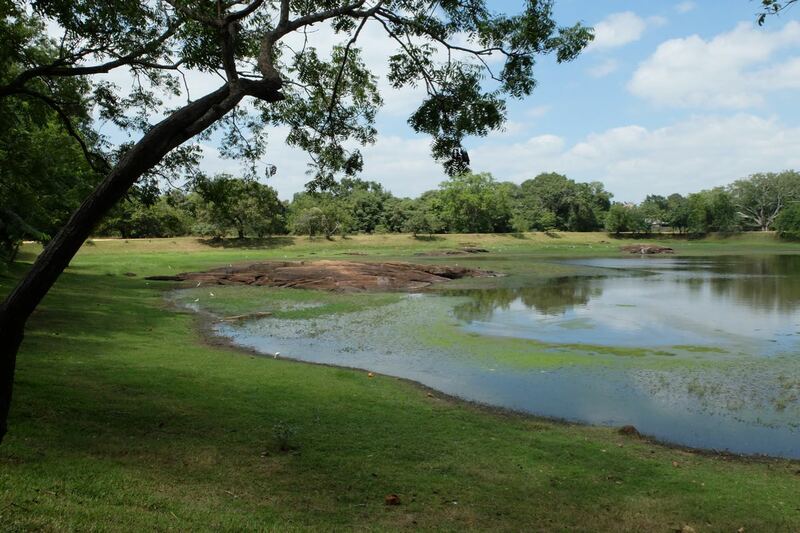 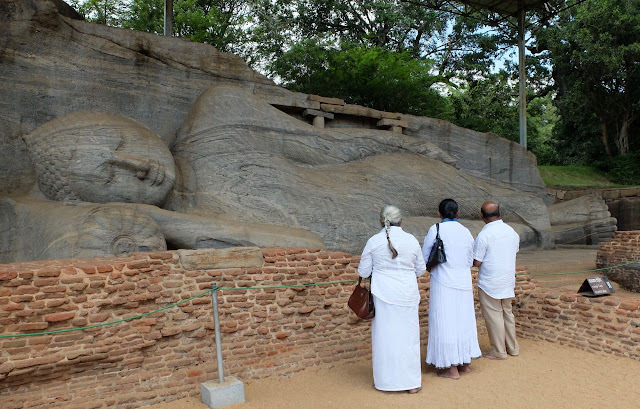 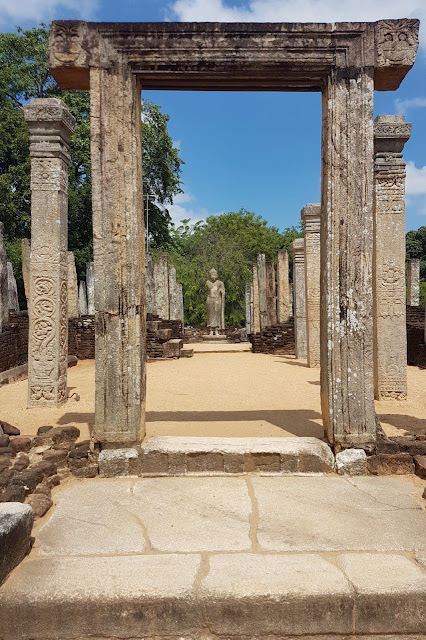 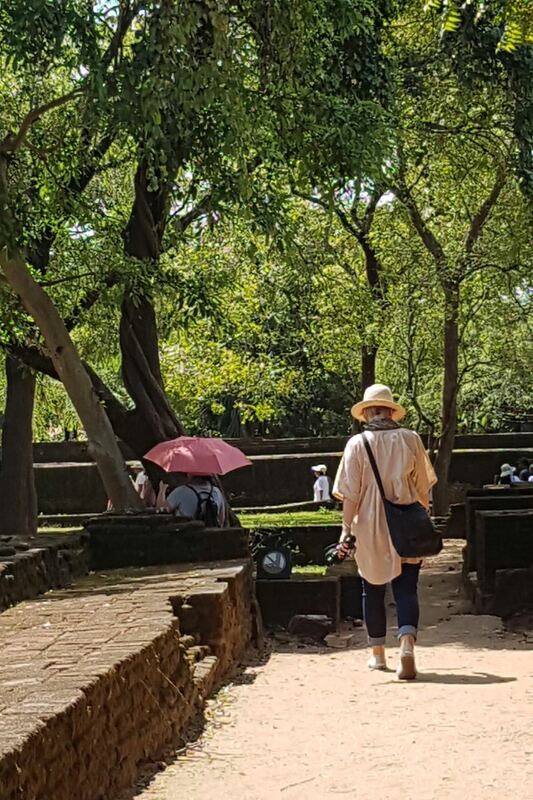 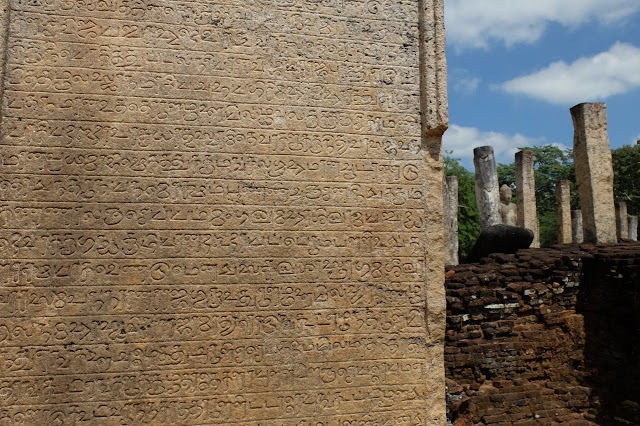 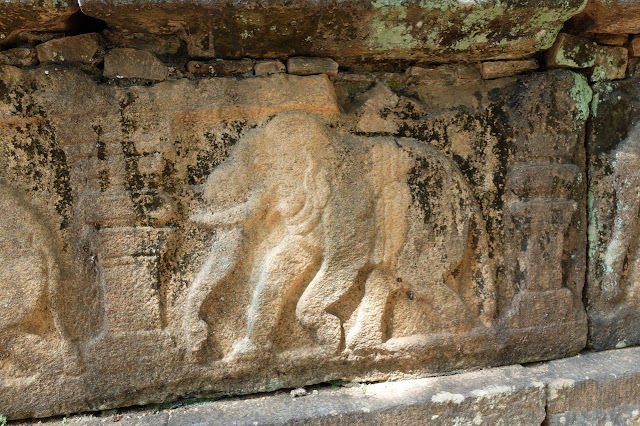 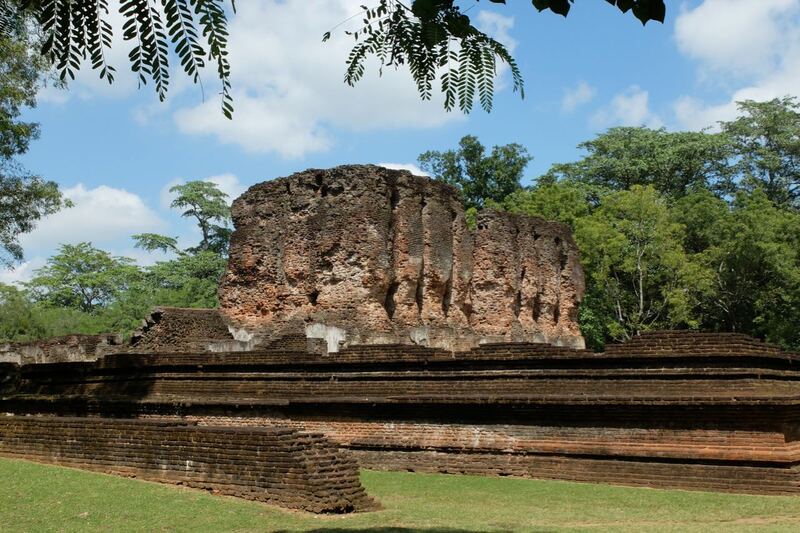 We were on the road early again this morning, making our way to Polonnaruwa in North Central Province, the site of Sri Lanka's second oldest royal ancient city. 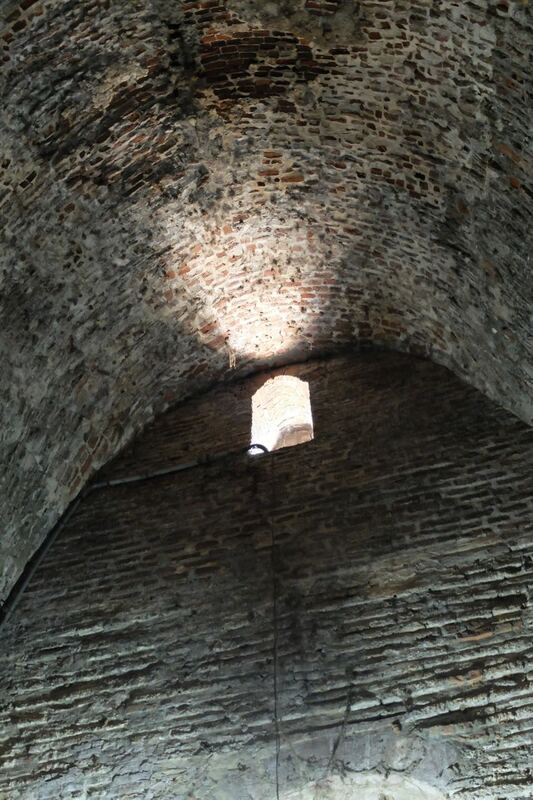 It was established as the capital in the 11th century AD. 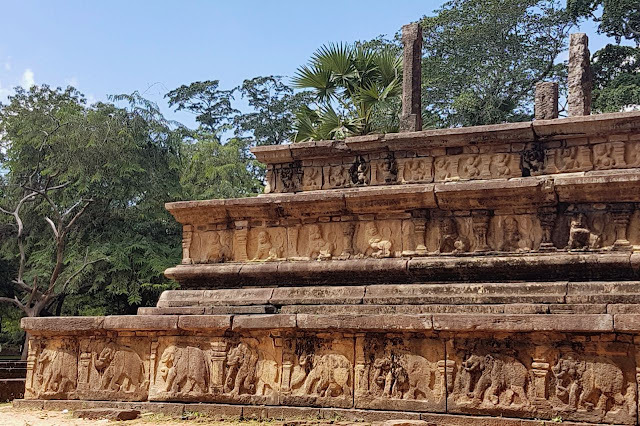 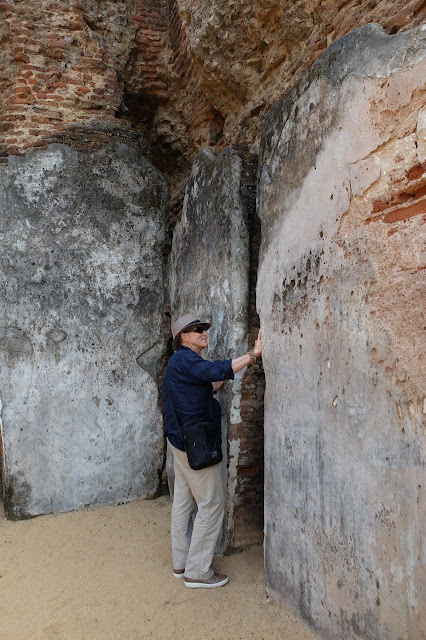 Today the remnants of this ancient royal city form an extensive archaeological park where it is possible to imagine what a rich and thriving place it must have been in its day. 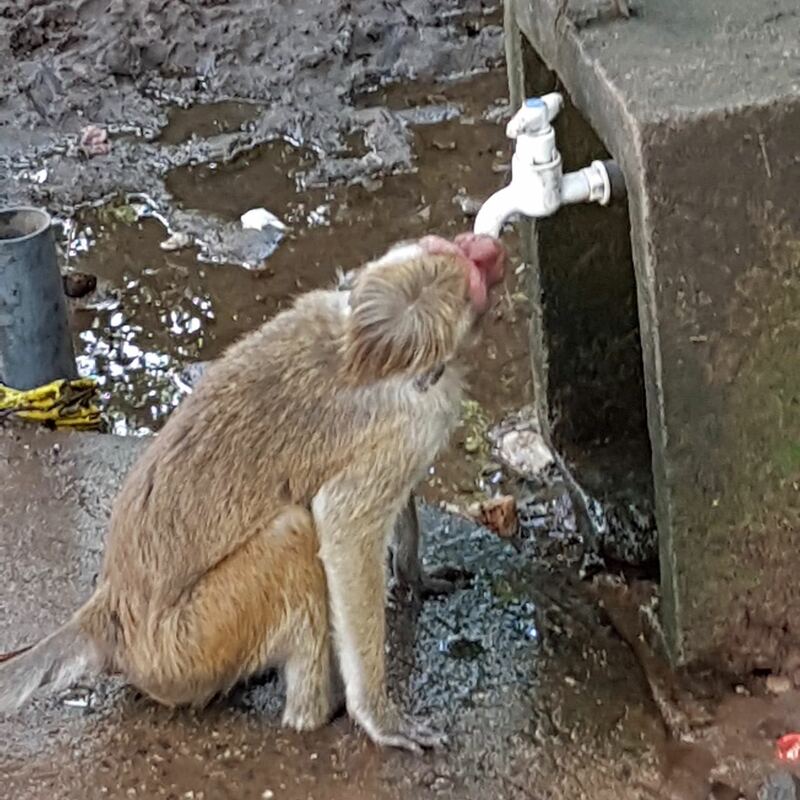 Of course none of this means anything to this thirsty monkey (greeting us on our arrival)! 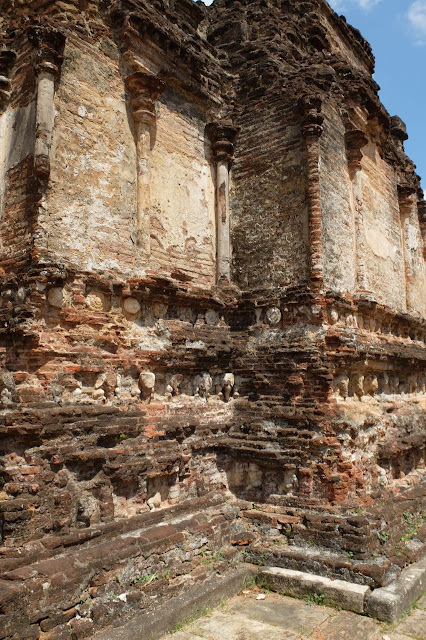 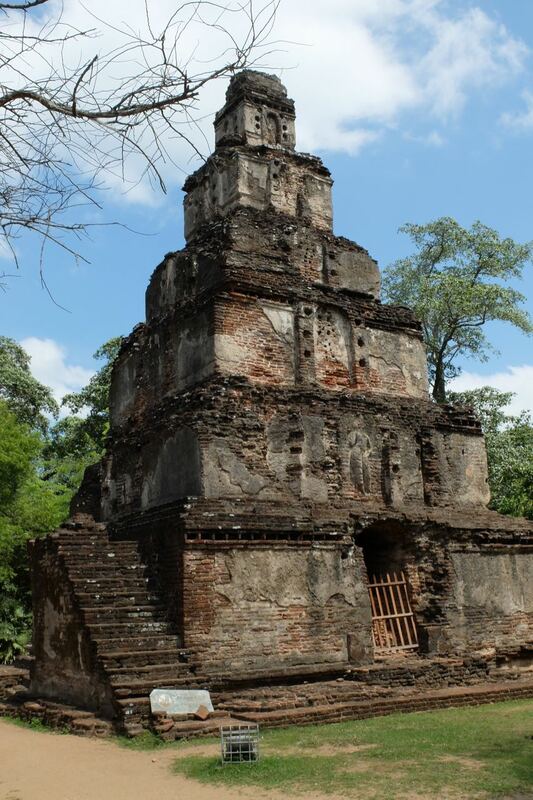 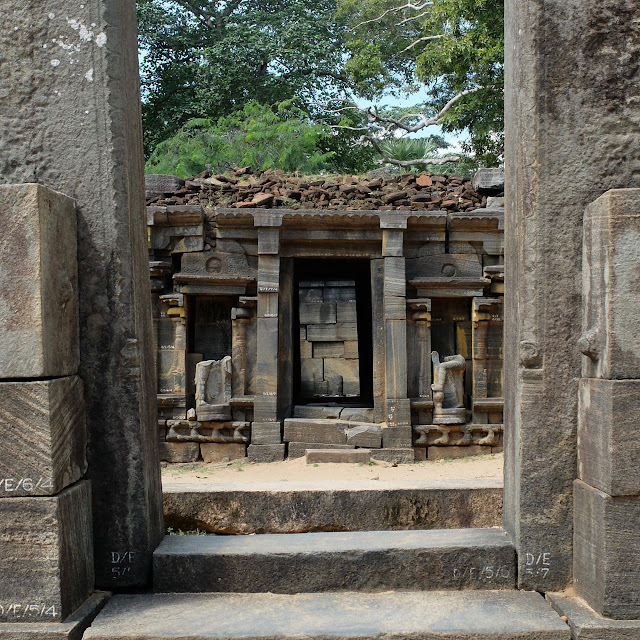 This very old temple (under restoration) was built for the Hindus from India who'd become citizens of the ancient kingdom. 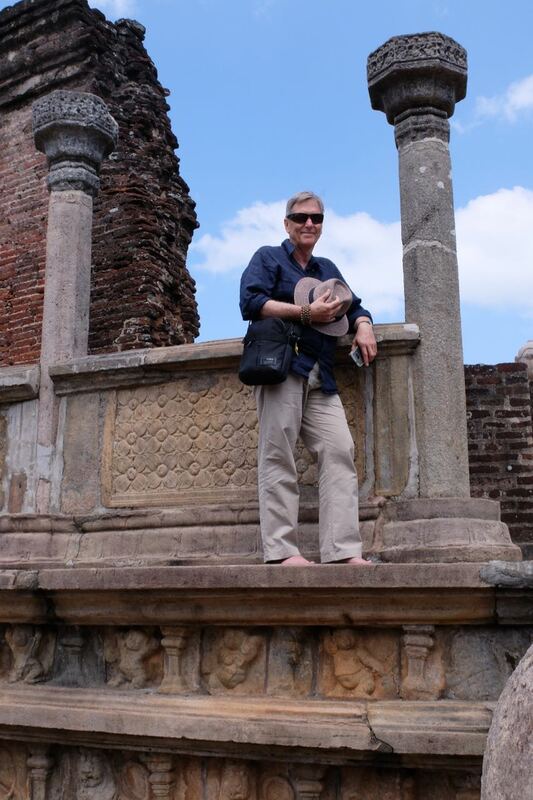 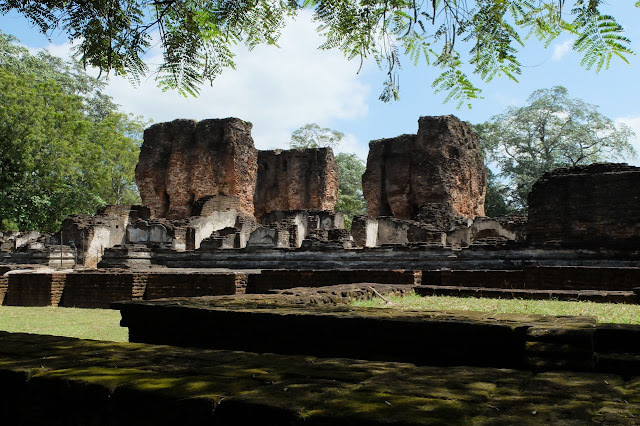 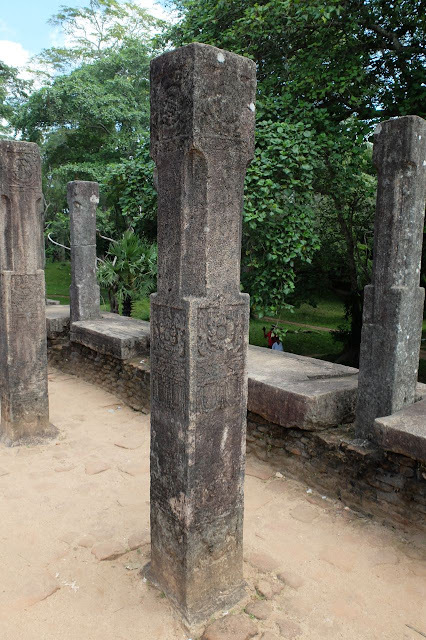 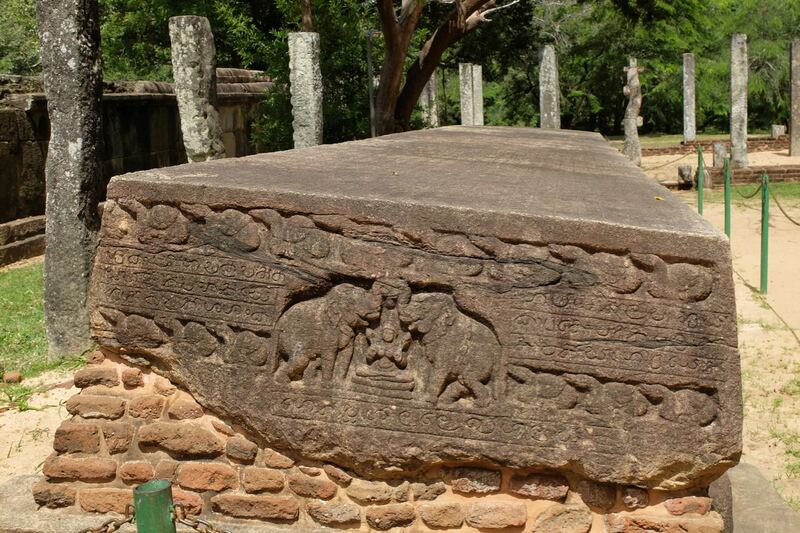 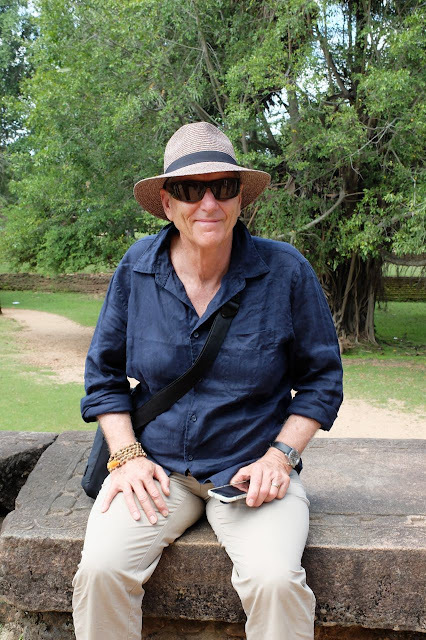 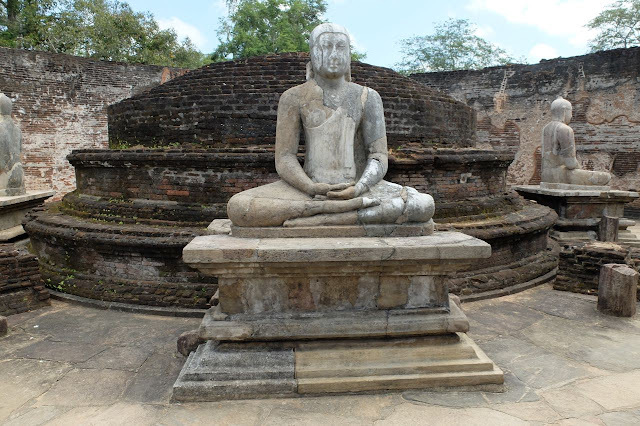 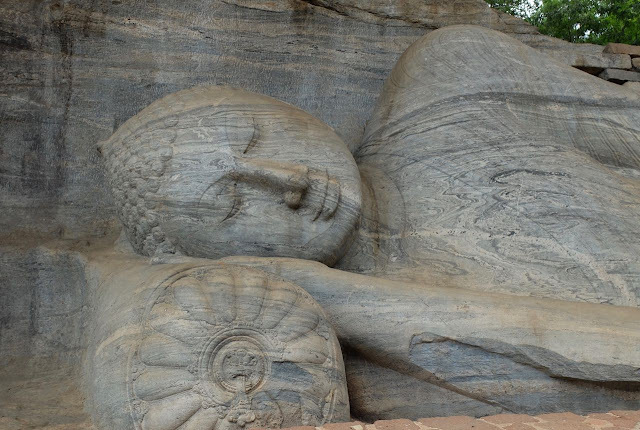 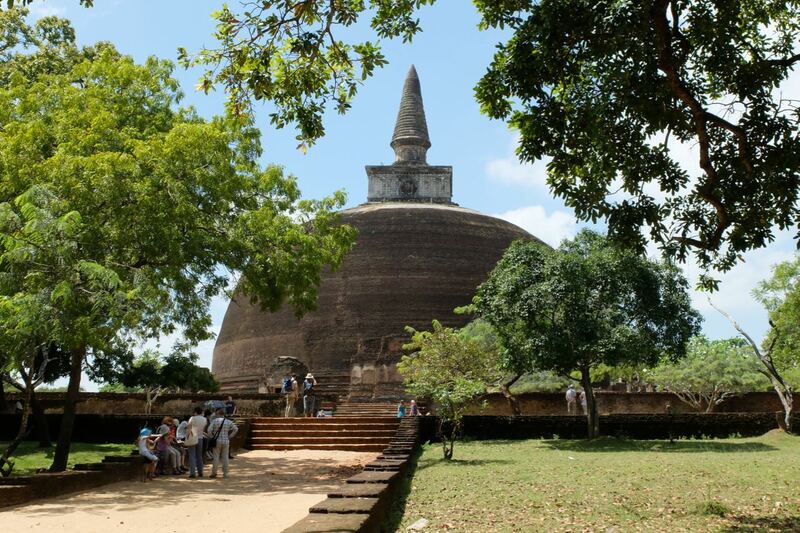 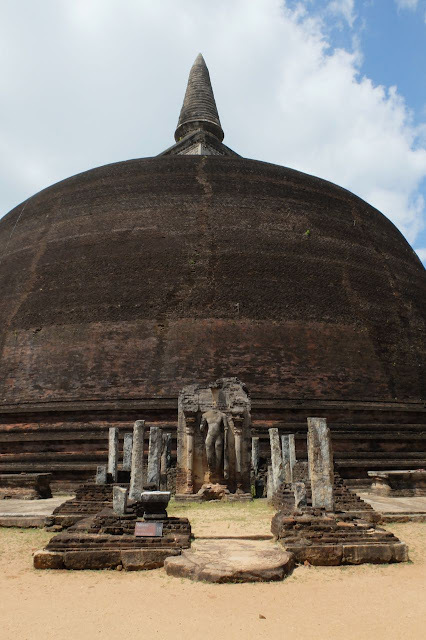 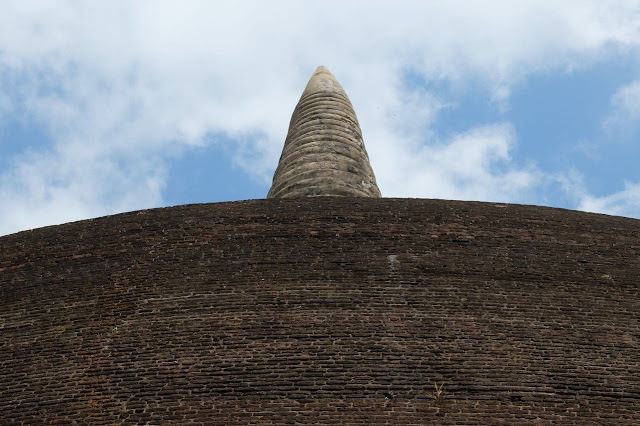 I just love the beautiful stupas of Sri Lanka! 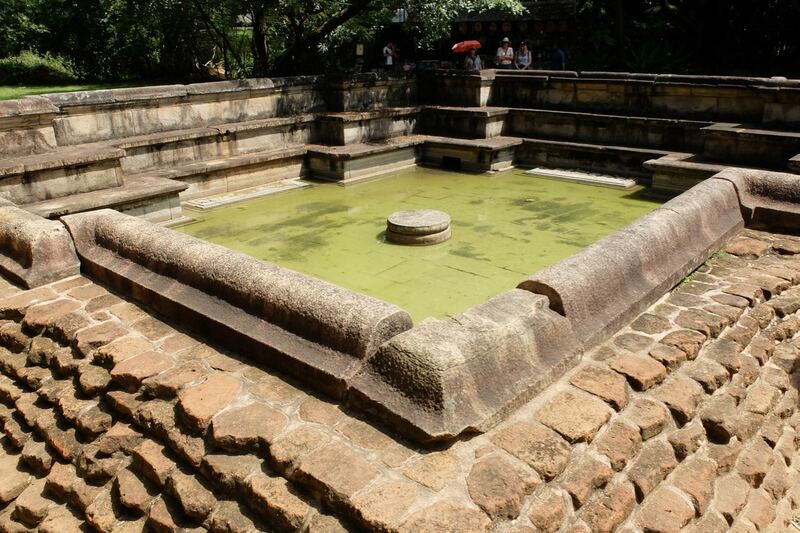 Water reservoirs and irrigation systems ensured the ancient city prospered, and they have survived until the present day! ...and resting ....... (not reclining). 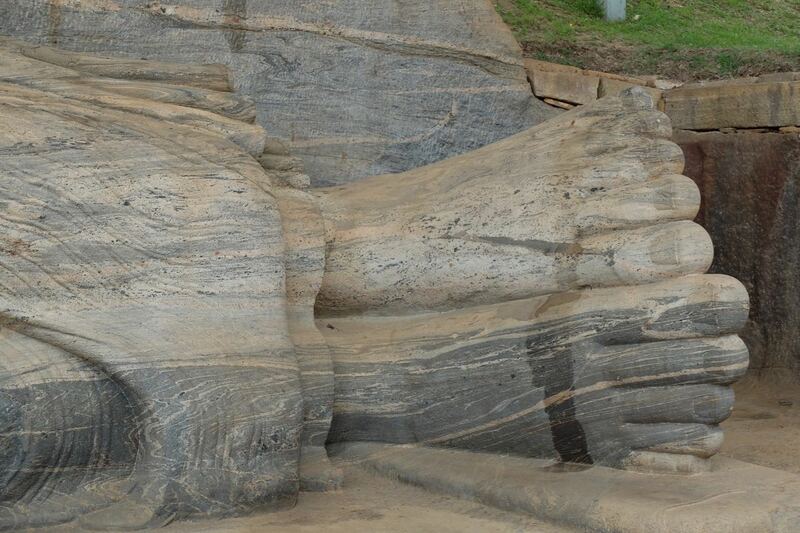 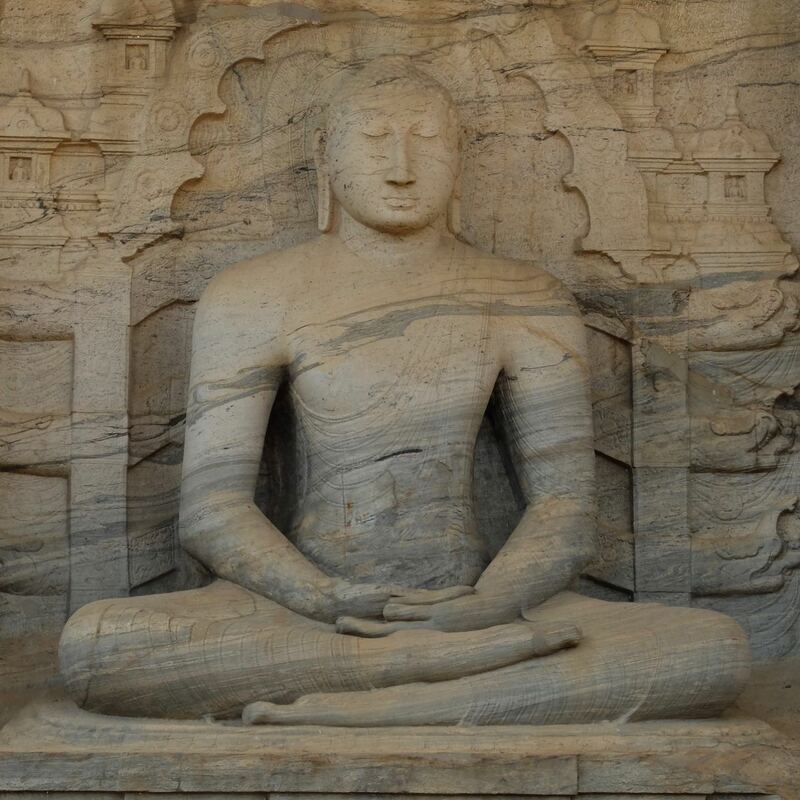 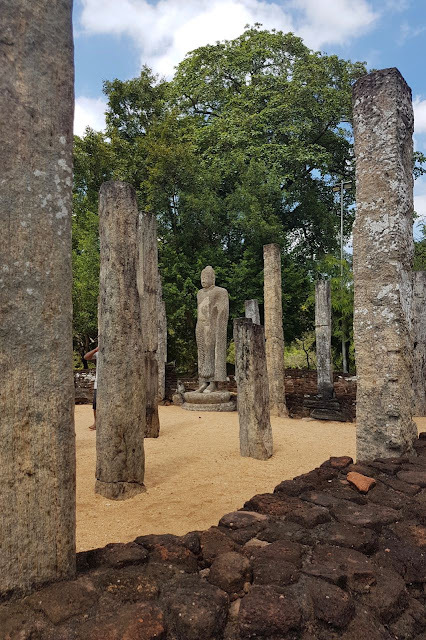 These sculptures are carved out of "living rock" (granite) and are looking in great condition for their age (over a thousand years). 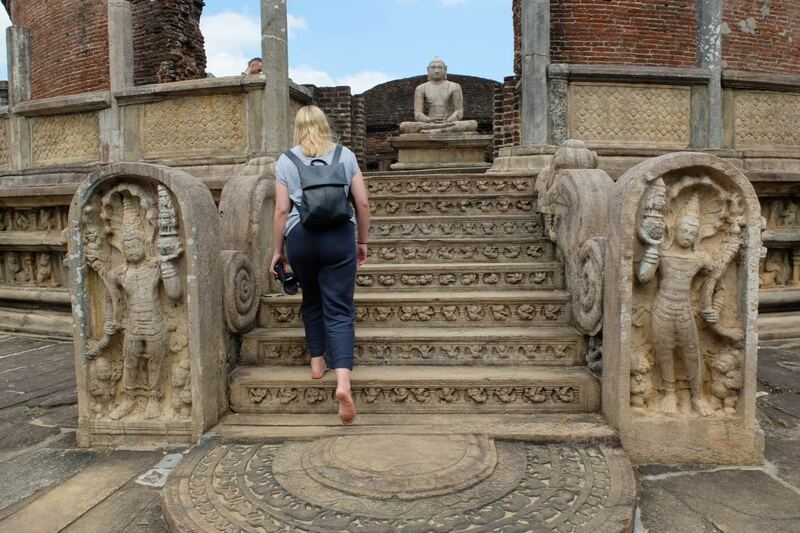 This was a great morning's history, religion and art lesson all rolled into one - as well as being a gorgeous and interesting place explore!